We have been cranking up the engines of Rootdown again since about mid-January. Ordering seed, researching equipment needed, acquiring more land leases, making farm rotation plans, meeting with chefs, applying to farmers’ markets, completing organic certification documents and I won’t bore you with the rest, but I will say, it is the fun stuff. We planted our first seeds a few days ago. Onions and leeks. 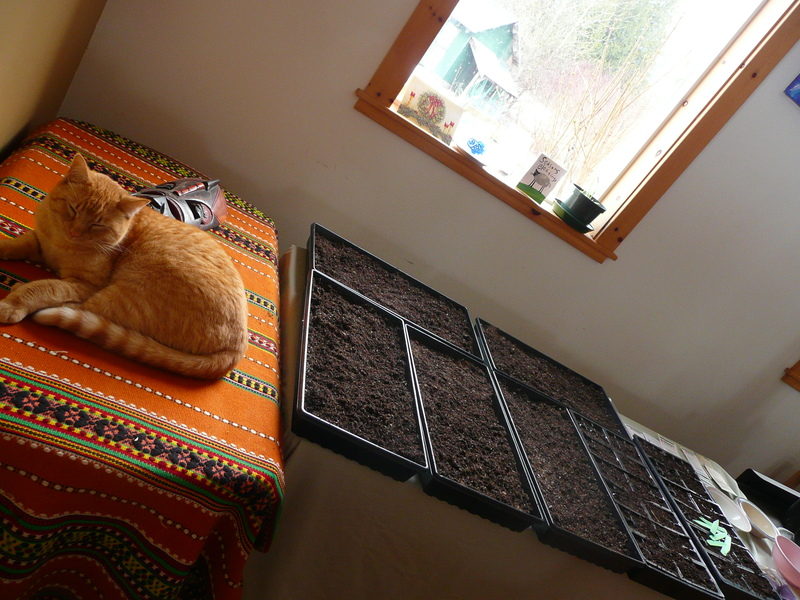 We will start them in our house for the first few days, but hope to have the greenhouse reconstructed (we took it down for the winter) by the time they poke their heads through the soil. The problem is that after months of warm weather, it has snowed a pile today, the day before we planned on putting it back up. We haven’t had snow settling on the ground since mid January. Stay tuned for more posts as the seasons starts up.